Gardenscapes is rated 4.6 out of 5 by 129. Rated 5 out of 5 by Victoria9434 from I JUST LOVE THIS GAME I had bought it awhile ago, it is so adorable along with the graphics. 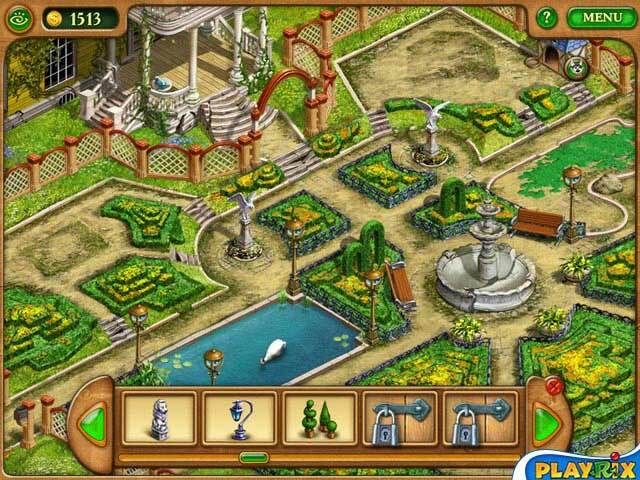 I have bought all of the Gardenscapes, and hope more come out... So easy to play, dog is so cute and you get to name him too.. I have hours of fun! Rated 5 out of 5 by listenerstone from Fantastic Game I hadn't played this game for awhile, but just recently went back and tried it again. On second play I decided this game is just a heck of a lot of fun. There is nothing overly difficult here, but you can certainly up your challenge level by playing a timed game. If you take too long searching for HOs in timed mode, you won't get as much money and can outright lose a sale altogether. 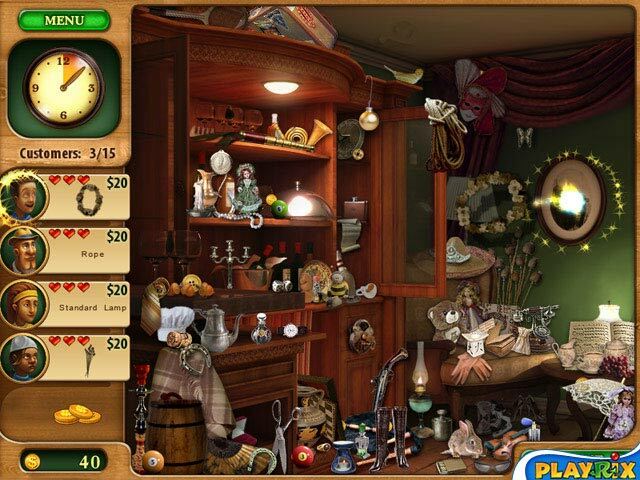 But if you prefer, you can just relax and play a laid back hidden object game, taking as much time as you need to seek and find. The second part of this game is fixing up your garden, which is fun as well. As you progress in the game, you get to choose more and more pieces, everything from flowers to a gazebo, to make your garden beautiful. You also get to name a darn cute little puppy and watch him roam the grounds and interact with your butler, Austin. The colors and graphics are beautiful both in the rooms of the mansion where you search and out in the garden you remodel. My only minor complaint is at some point, without any mini-games to play, doing nothing but looking for hidden objects can get a bit tedious. Still, it's not enough so to really take away from the enjoyment of this game. Rated 5 out of 5 by mihbrooks from So much fun! I want more of Gardenscape games! Rated 5 out of 5 by mariebirtt from Mansion Makeover I have had this game for some time and go back to it over and over again. I Love Playing ALL the Playrix Games! 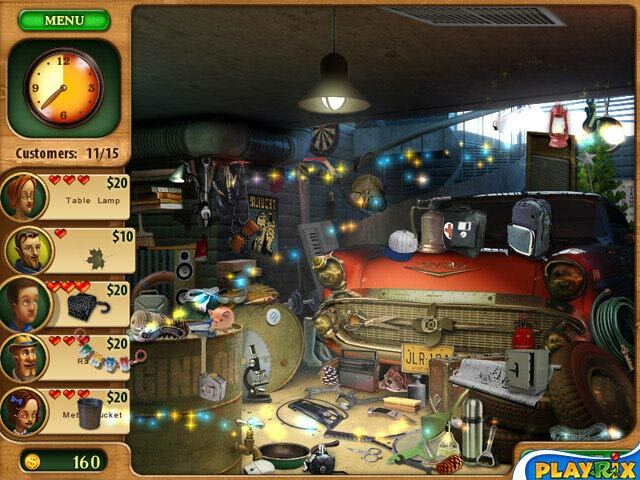 Rated 5 out of 5 by Cahira from Different kind of fun I usually play adventure hidden object games. But I was looking for a relaxing change of pace and tried Gardenscapes. I enjoyed it so much I bought all 3 Gardenscapes, Farmscapes and Barn Yarn. I even purchased the Android version of Gardenscapes for my Tablet. The tablet version is a match 3 but it is still fun to play. I hope they create more PC versions as well. They are an enjoyable way to spend an afternoon. Rated 5 out of 5 by flowerLuv12 from Love Hidden Object games I really enjoy this game and the other games by this group. I am aged 67 and unfortunately losing my sight. My doctor wants me to play games like these as long as I can. I really love the color scheme and the clues. These games are great for just about anyone! Rated 5 out of 5 by Riverboatlucy from Enjoy! Austin is a fun guy who takes care of the garden and the dog which you get to name. You have fun restoring the garden by choosing different items to restore - the pathway, the fountain, the swing, the lawn, ...etc. Each item restored has three choices - each one more expensive than the first. The object for Austin and his player is not merely to restore the garden but to win the gardening club contest for the best garden. Does he make it ? You have to play the game to find out. Rated 5 out of 5 by Mystic_One from I don't know much about art, but I know what I like I've read good and bad reviews about Gardenscapes 1,2,3. I like the games. Yes they are pretty simple, but this is the type of game you want, when you just want to relax and not have to think and remember where you're at or try to get clues etc like in so many hidden object games. 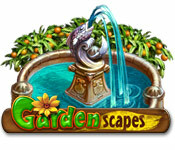 Don't get me wrong I do play the other hidden object games here, but I do like the Gardenscapes games and games like it. If you do decide to get this game, just remember what I said.